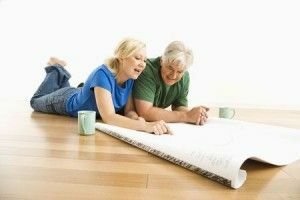 A recent study proves what Arizona homeowners who have recently remodeled surely already know (and what those hoping to remodel soon likely suspect): remodeling makes people happy. That not so surprising finding was one of the results of the Home & Happiness Survey conducted by Houzz, a source of home design and remodeling content and advice. Nearly 90 percent of homeowners said that home design affects their overall happiness. Of the more than 6,000 people surveyed, those who have remodeled and/or redecorated in the last two years say they are happier (74 percent), more relaxed (51 percent) and tidier (35 percent) at home post-renovation. It seems like renovation can also be a boost to one’s social life, as well: almost one third also said they now entertain more often. Family time also plays an important role in making people happy, as evidenced by the fact that the family/living rooms and kitchens were rated as the happiest parts of the home. In areas not related to design, other interesting findings from the survey include the fact that nearly half of the people are happiest when it’s just their immediate family at home, while 29 percent like having their homes filled with friends and family. We know firsthand how a home remodel can bring happiness and harmony to a home, especially if the current space doesn’t function well for the family. Contact RW Remodeling to discuss your home renovation plans.